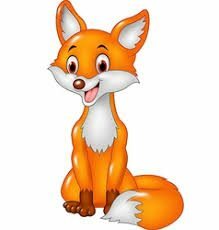 Our class name is Dosbarth Llwynog, this means ‘Fox Class’ in Welsh. > PE day! We suggest that the children keep their PE kits in school, We will send them home each holiday to be washed. >Forest School this term will take place on Friday afternoon. Please could the children bring a pair of wellies to keep in school. > Reading books and homework will go home in book bags. Please return book bags and homework by Tuesday at the latest. Our topic this term is around the world! Over the next 12 weeks we will be focusing on non-fiction texts looking into the continents, countries and counties in Wales and throughout the wider world. After an interesting first term following the children’s big ideas, we have learnt how their interest in the world is growing and that they are very inquisitive about other cultures, environments and religions. This term we will follow the big questions the children have asked like how are volcanoes made? , What animals live in Africa? and Why do we need to recycle? Hopefully providing them with the skills to enable them to research and decipher the information independently in the future. We will develop maths, sport, geography, art and ICT skills along the way too. Literacy – We will be exploring non-fiction texts this term, analysing them to gather information to create fact files, news reports, padlets, presentations and non-fiction books to share what we learn. We will be exploring the use of digital technology to connect our classroom to our link school in Uganda and the Bali turtle society, through emails, Skype and document sharing. Maths -We will be beginning with addition problem solving following on from last term. We will then be focusing on money, subtraction, time, measuring using standard units as well as reasoning skills. We will be introducing 10 minute maths each morning and physical maths each afternoon to begin building multiplication, prepositions and directional language skills. We will be following Hamilton maths and hope to build a good bank of everyday mathematical vocabulary within our class. KUoW – We will be focusing on places and people alongside, ourselves and living things looking at Wales as a country within Great Britain first then extending out to Europe, Africa and Indonesia. We will explore languages and dialects within Britain, the diversity of homes and the impact of money and natural resources on lifestyle, the origin of foods and the impact of diet on health, the religions underpinning the most colorful and creative festivals and the connection between continents, countries and counties. Reading at home is very important. We ask you to read with your child as often as you can. The school reading book will be sent home for the weekend, we would love for you fill in the reading record. The reading record will allow you to see when we read with your child, as well as letting us know what lovely books your child enjoys reading with you at home. There will be homework sent home when it is relevant as we understand how busy weekends can be! We would be grateful if you could return book bags by Tuesday to ensure there is enough time to check reading logs and change books ready for Friday.